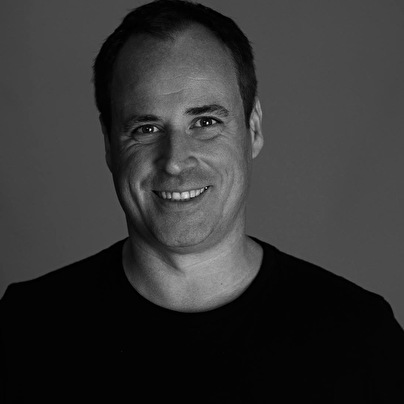 Christian Smith is one of the world's leading exponents of techno, both as a DJ and producer he is always bold and innovative. With his output in recent years it is hard to imagine a list of prolific producers without his name towards the top. He has been at the top of his game for over a decade with his trademark groovy techno. Christian has dominated the charts and DJ's playlists with a steady flow of releases on many high profile labels like Plus8/Minus, Drumcode, Cocoon, Bedrock, Mobilee and Tronic. His latest EP "Force Majeure" released in July 2016 on Drumcode, was straight in at No3, and stayed Beatports Techno Top 10 for over a month. He has released three landmark solo albums; "Omakase" in 2013 which secured worldwide praise with a superb selection of tracks that showcased his versatility as a producer. His follow up was with "Stranger Than Paradise" in 2016 he released the 11 track musical journey "Input-Output". The album was followed by an extensive album tour in over 20 countries and two extensive remix packages released early 2017 with artists including Pig&Dan, Julian Jeweil and legend Laurent Garnier all on rework duty. With his last collaboration project released in October 2017 'Synergy' featured tracks produced all over the world with legends and newcomers alike. Full throttle into 2018, his latest release was 'Count Zero' a collab with old friend and long-time producer John Selway. Tronic Nights are bringing label artists to venues and festivals across the world – with dates all over the globe to a city near you! So keep your eyes peeled, and if you can't wait until then, you can always go to Tronic's Soundcloud for the latest on the radio show. De Zweedse dj/producer Christian Smith is 3 jaar na "Director's Cut" weer terug met een nieuw album. Naast de vele losse EP's heeft hij toch de tijd gevonden om een aantal meeslepende en effectieve techno-tracks te produceren. Omakase brengt je op een open, ongedwongen manier in de stemming om zowel fysiek als mentaal los te gaan. Christian Smith is al jaren een bekend producer. Onlangs bracht hij eindelijk zijn debuutalbum uit, ‘Director’s Cut’ genaamd. 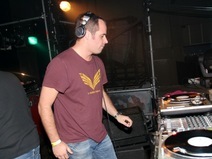 Op dit album laat Christian Smith horen dat hij naast technoproducer ook nog bekwaam is in het produceren van tracks met een meer atmosferische inslag. Christian Smith bracht zo’n vijfien jaar geleden zijn eerste plaat uit en heeft imiddels een waslijst aan releases op zijn CV. staan. Ook heeft hij diverse mixalbums uitgebracht, ‘Platform’ is daarvan zijn meest recente. total departure..­echt te zieke productie!! Heeeeeeeeeeeel erg benieuwd wat deze man gaat brengen op Awakefest!!!! sinds waneer is Smith een Spanjaard? En ergens anders lees ik weer Amerikaan, man heeft vele nationaliteiten zo schijnt het haha!